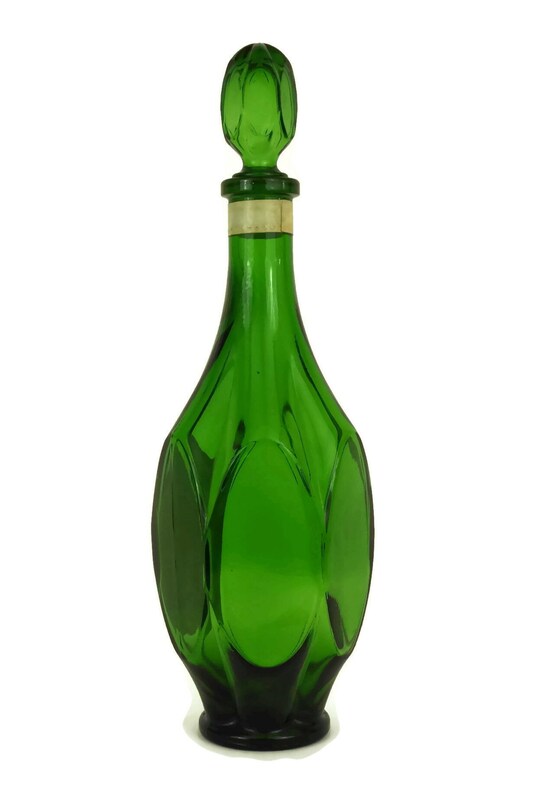 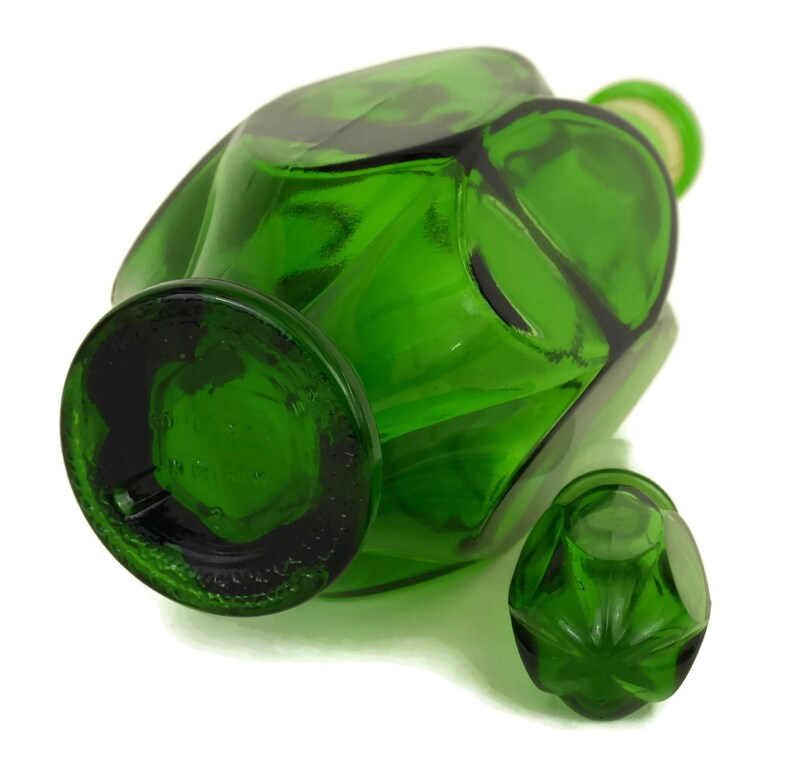 An elegant French vintage green glass perfume bottle dating from the 1970s. 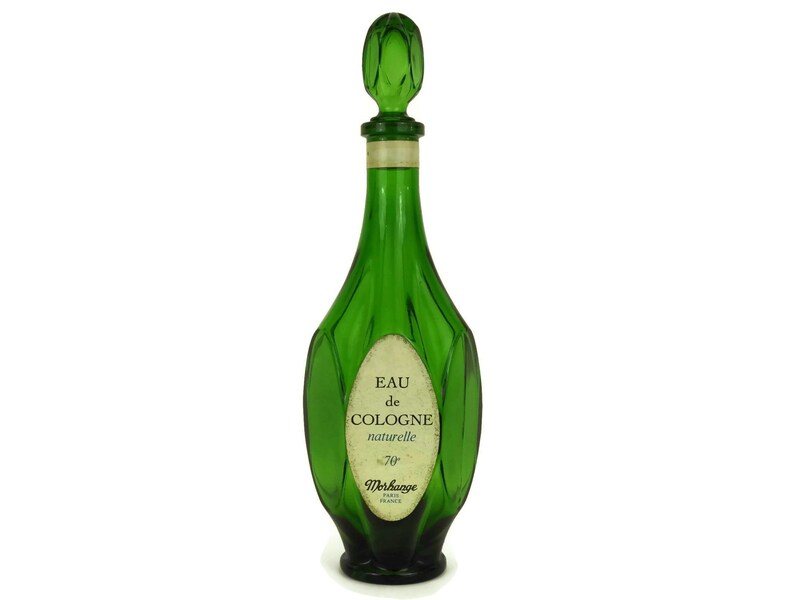 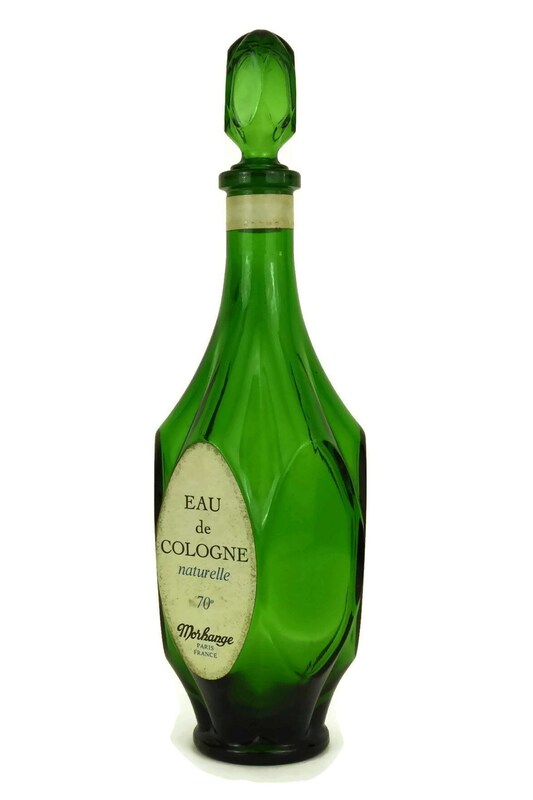 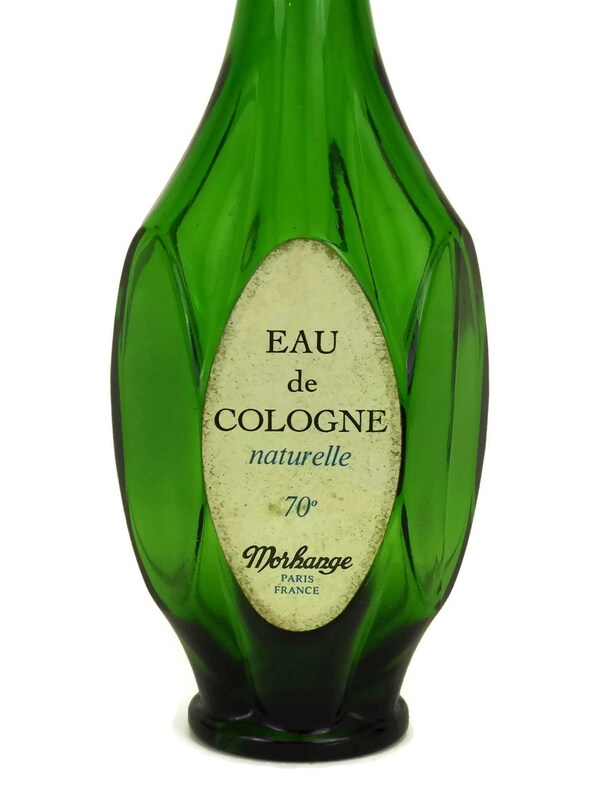 The flacon originally held Eau de Cologne and has its original paper label with the brand name Morhange from Paris. 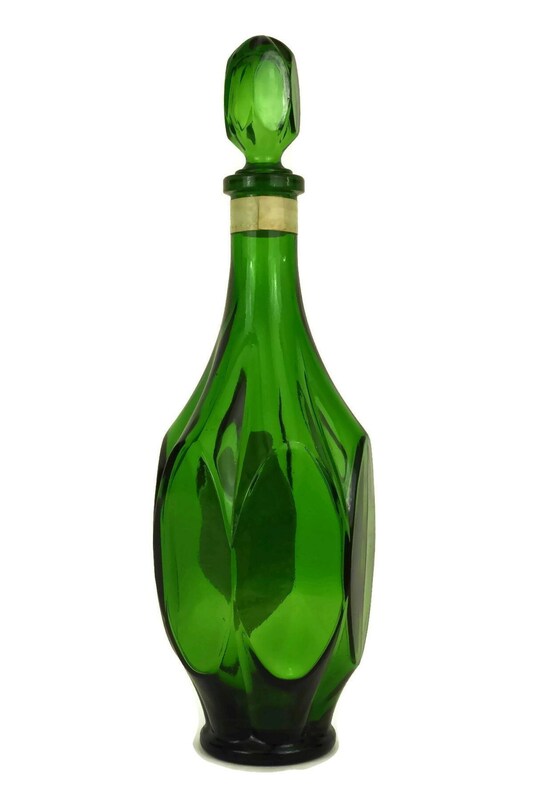 It is a large size and features faceted sides and a tapering neck. 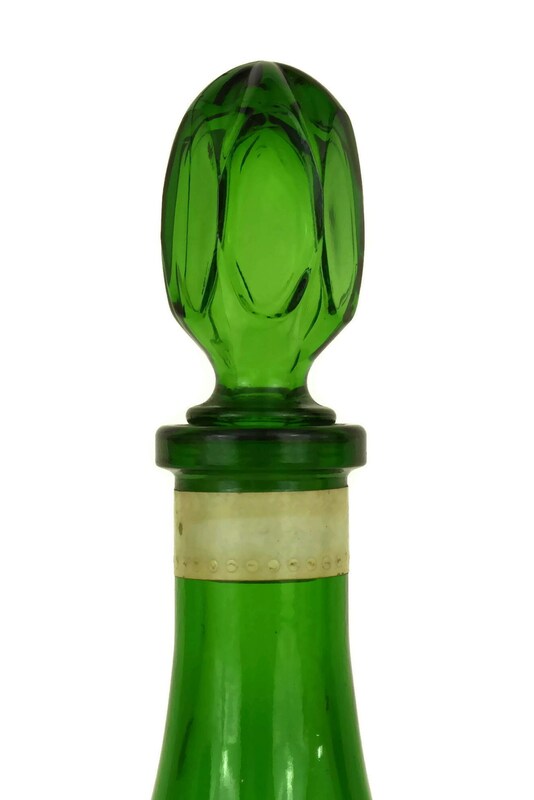 The flacon has a matching stopper with a plastic seal at the base. 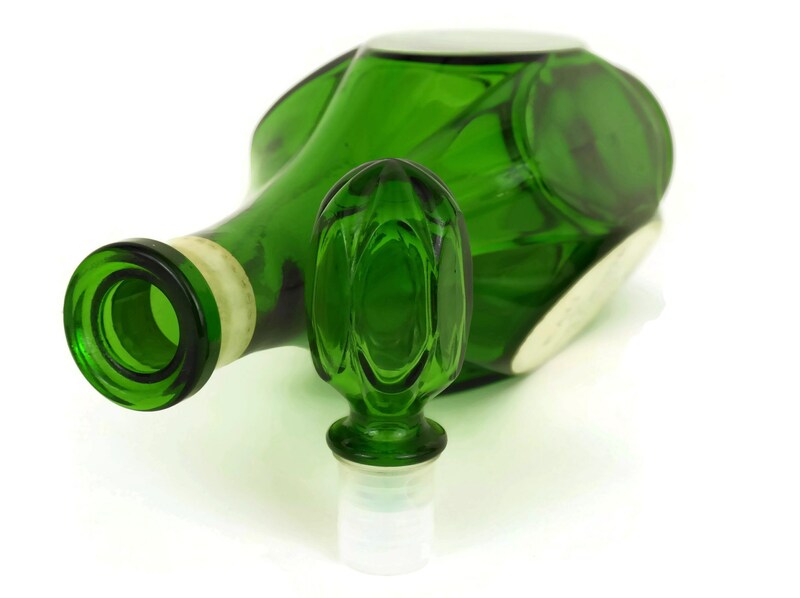 The bottle with the stopper is 11" Tall x 3.5" Wide (28 cm x 9 cm). 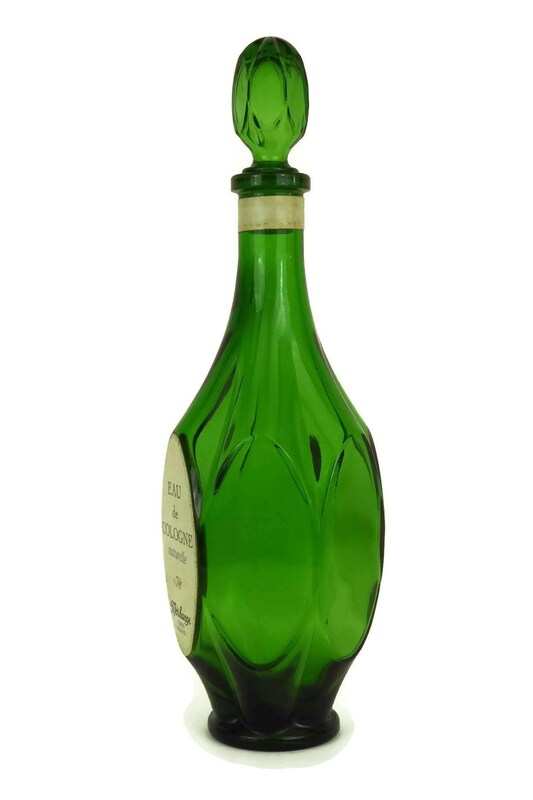 The vintage green glass perfume bottle is in very good condition with light wear to the label.